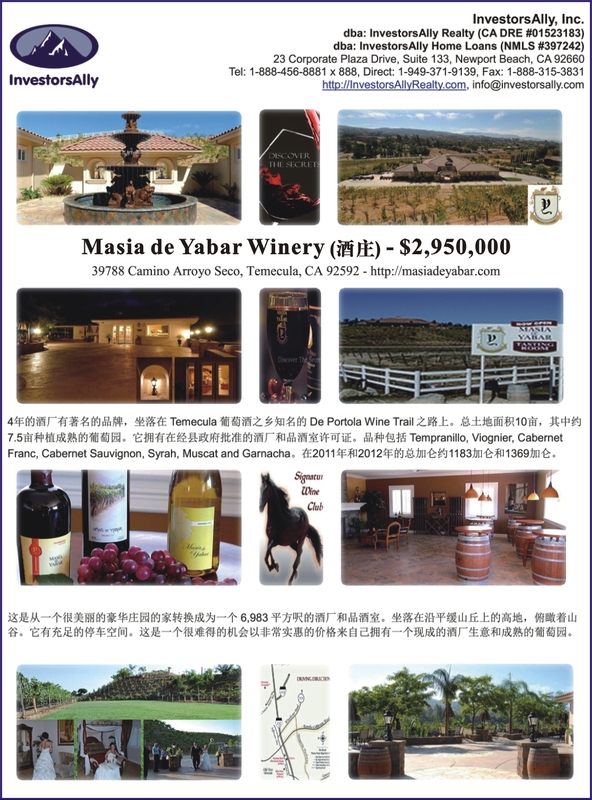 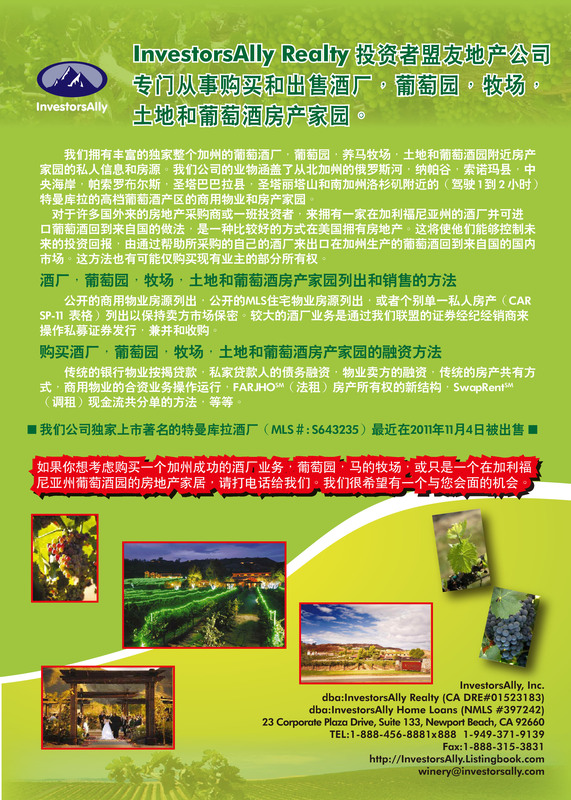 Apart from the Temecula-based Masia de Yabar Winery below (please click on the flyer for more info), there many other current privately listed opportunities available, please call us to find out more about the details or arrange a tour to the wine countries in Temecula of Riverside County, Paso Robles of San Luis Obispo County or Santa Rita Hills and Santa Ynez of Santa Barbara County. 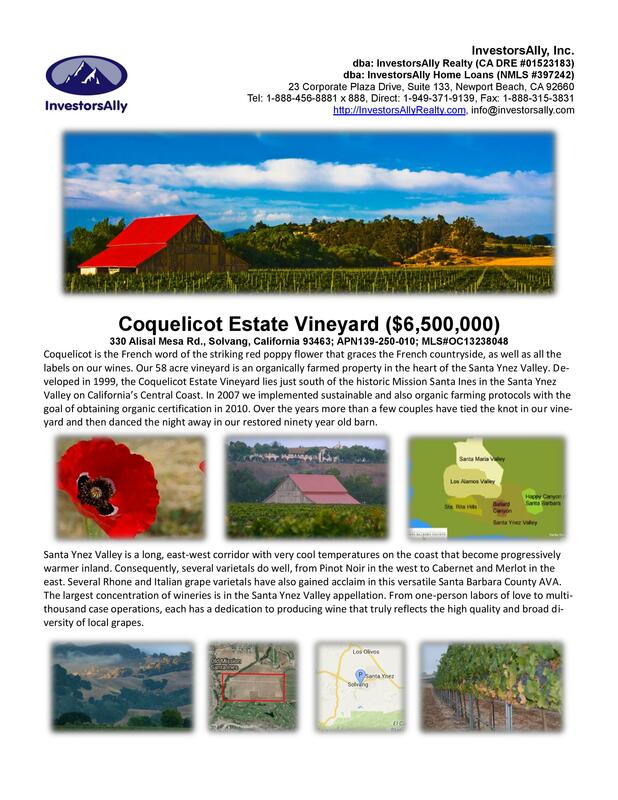 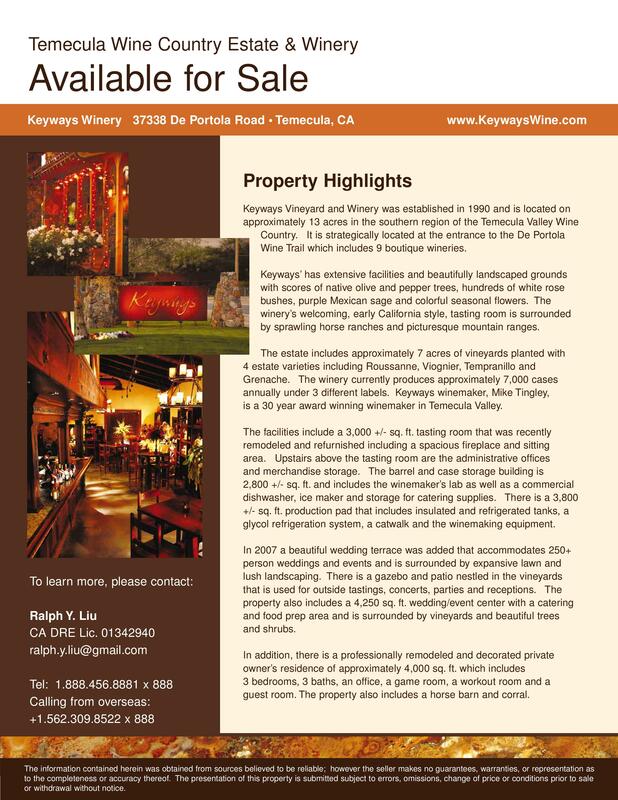 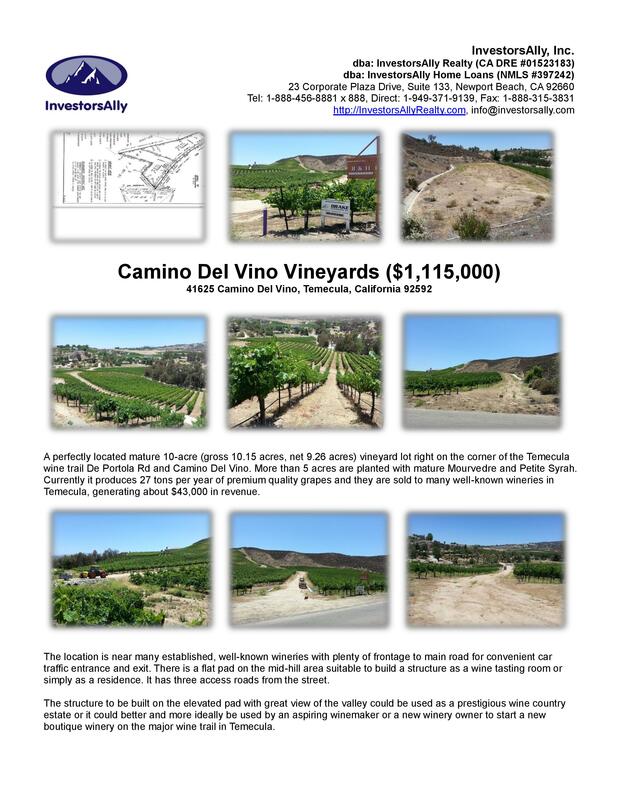 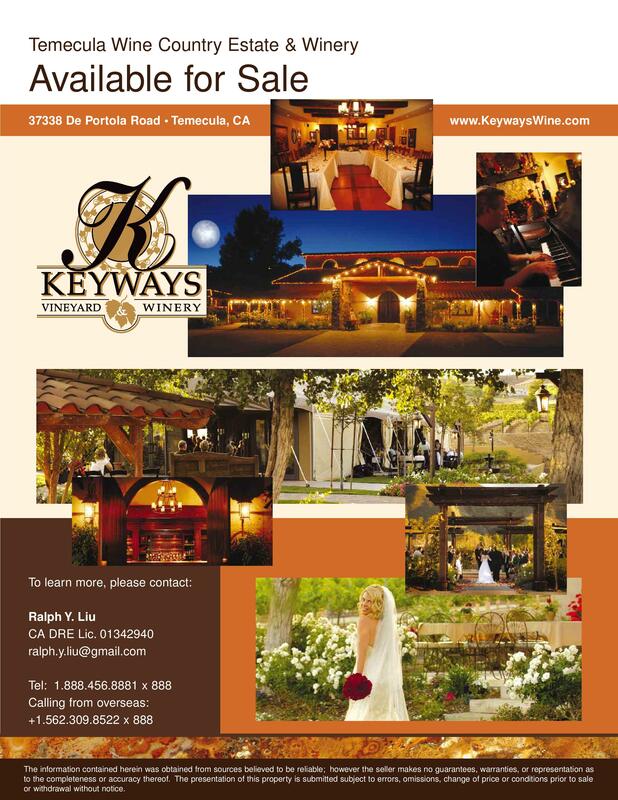 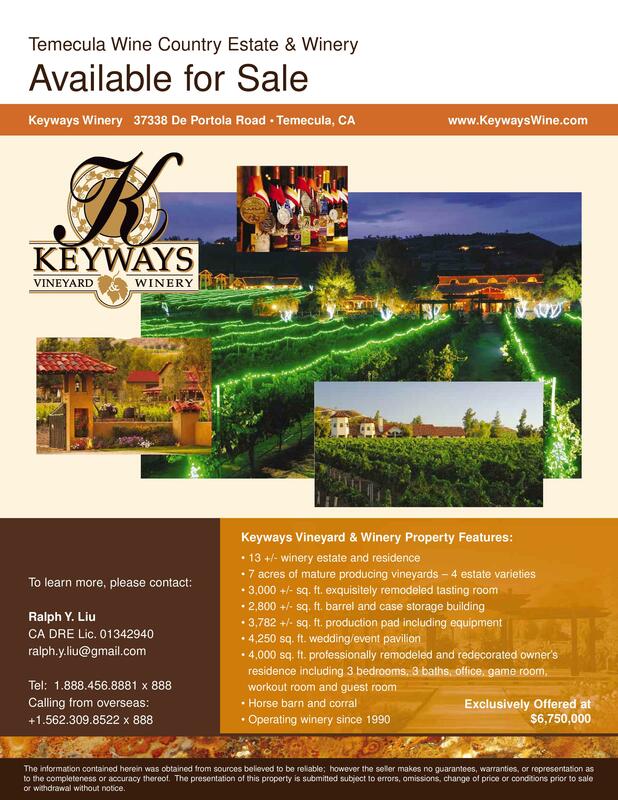 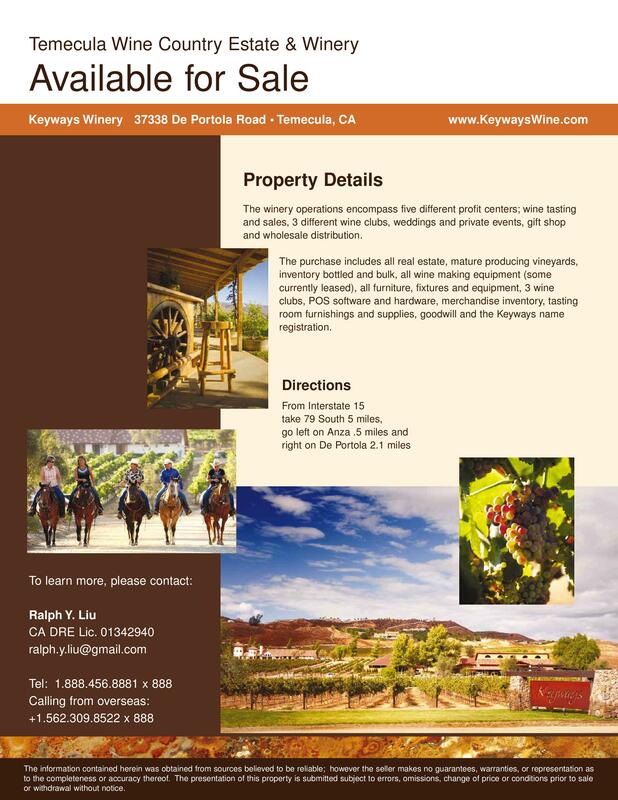 InvestorsAlly Realty’s Exclusive Listing of Keyways Winery in Temecula was sold in November 2011. 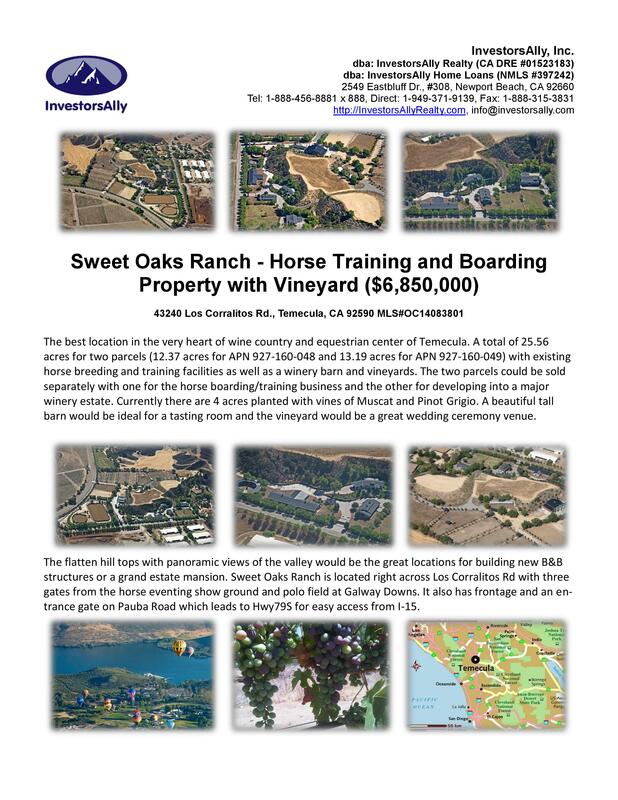 VERY INTERESTED IN DISCUSSING THIS PROPERTY. 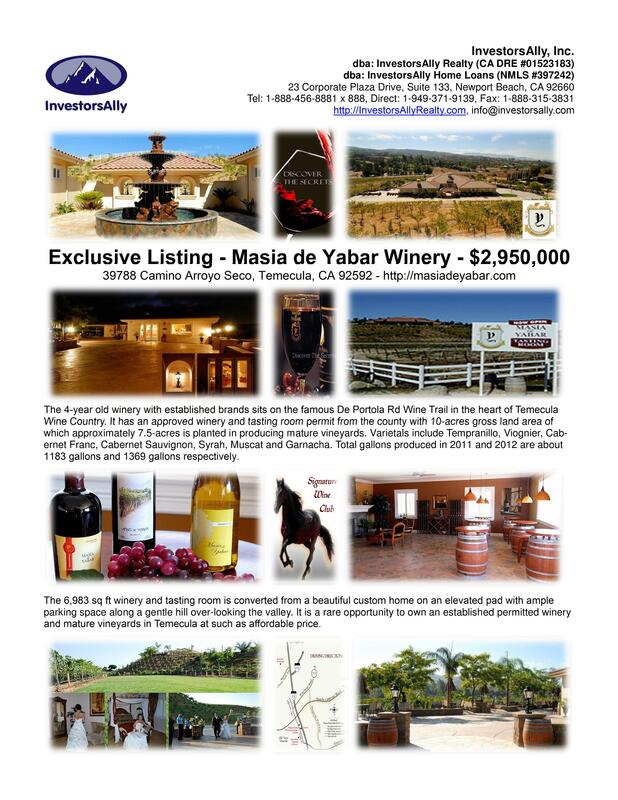 CAN YOU CONFIRM IF IT IS STILL AVAILABLE? 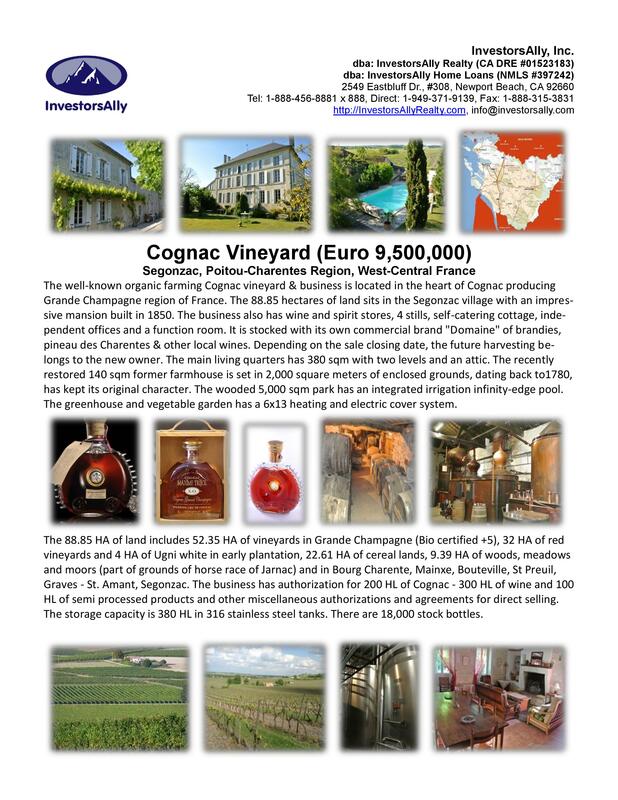 Yes as of today, Michael.